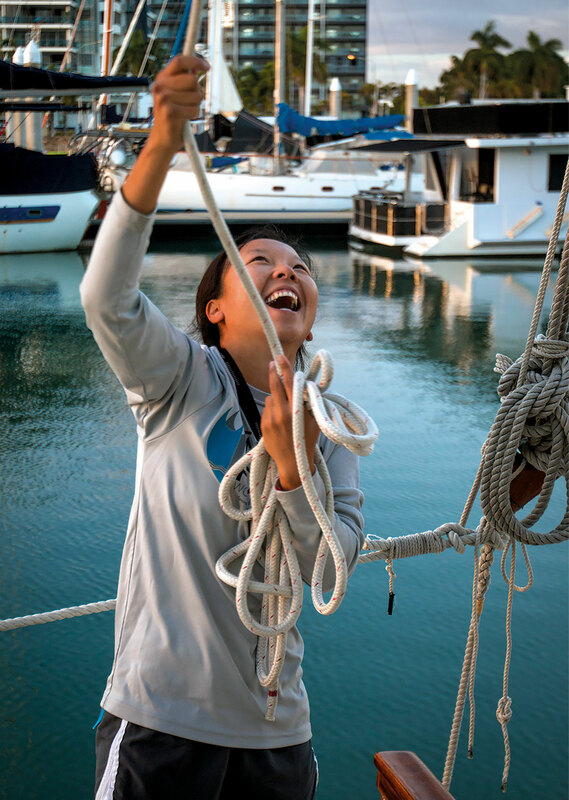 Last summer, Hye Jung Kim, ’09, spent seven weeks aboard a 62-foot canoe modeled on the type ancient Polynesians used to sail the Pacific. Hye Jung Kim, ’09, earned a bachelor’s degree in mathematics from UCF before moving to Hawaii to pursue a master’s degree at the University of Hawaii. 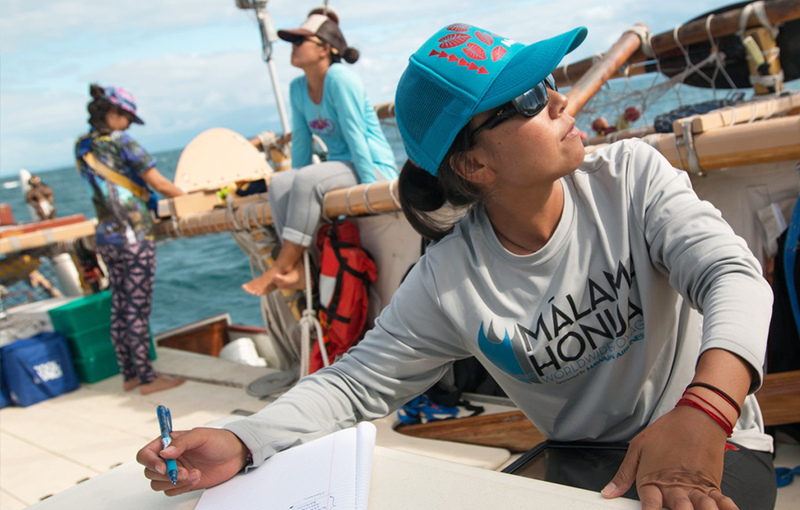 While there, she was introduced to the Hōkūle‘a, a 62-foot, double-hulled canoe that’s a performance-accurate replica of a traditional Polynesian voyaging canoe. 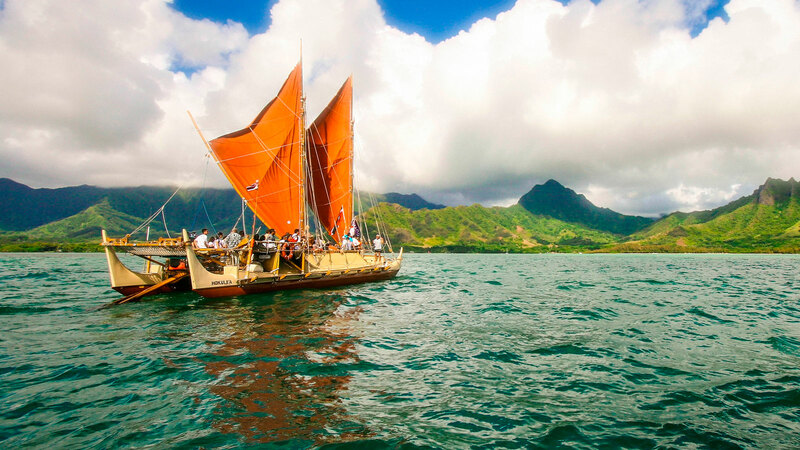 Early Polynesians used these boats to sail thousands of nautical miles, relying solely on the stars, wind and waves to guide them. 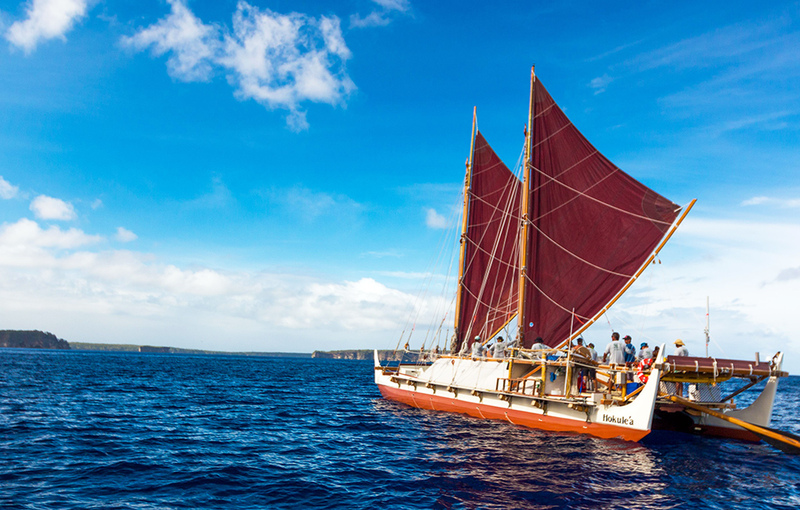 In 1976, Hōkūle‘a successfully made its first voyage across the Pacific from Hawaii to Tahiti. 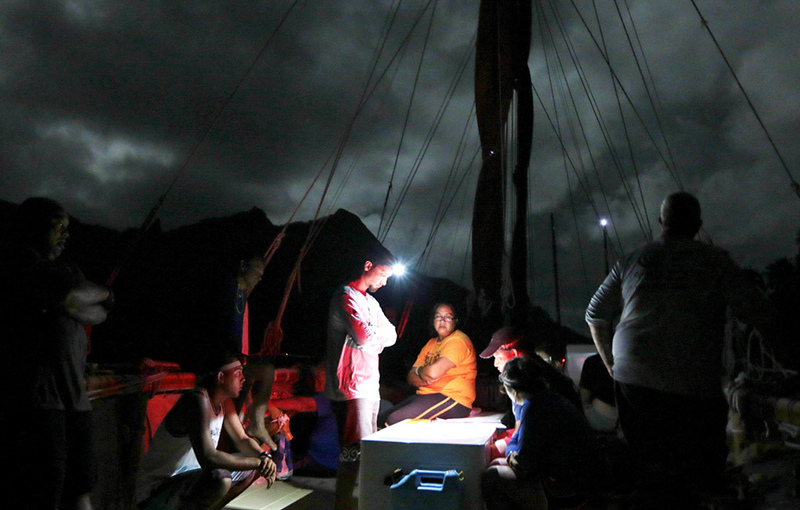 And in 2013, the Polynesian Voyaging Society launched a four-year trip around the world to expose a new generation to this cultural legacy and promote a more sustainable world. 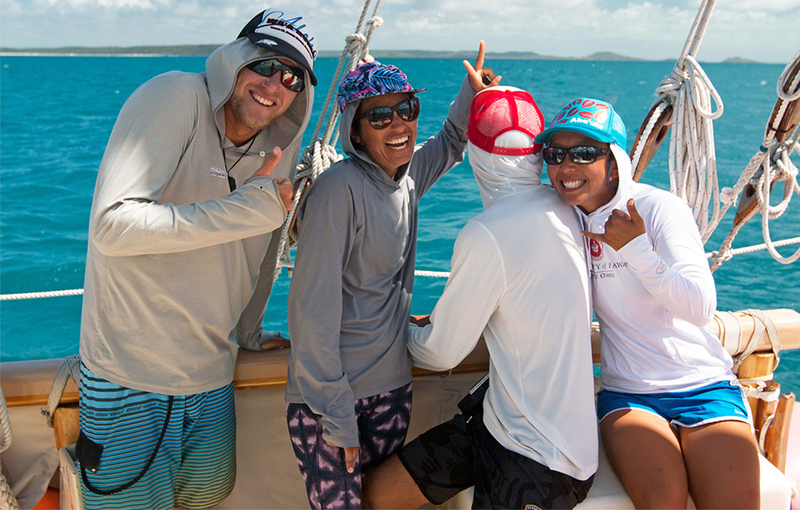 Last summer, Kim joined the crew for seven weeks of their historical journey as they sailed from Brisbane to Darwin, Australia. I lack the Polynesians’ intuition. I can’t read the waves as well as they do, I can’t read the wind as well as they do, and I don’t have as many stars memorized as they do. Instead, I was calculating everything based on information the experienced crew members shared with me. When you’re out in the ocean, you rely on your crew members and yourself to survive. Each crew member does their part to make sure the entire crew gets to the destination safely. We toured two schools in the Reef Guardian Schools network in Australia. One school breeds fish to help maintain their population at the reef. The other school takes care of a local stream that runs into the ocean and impacts the reef. Interacting with students who are cognizant of their impact on the earth was inspirational. I moved out here right after I graduated from UCF in 2009. Since then, I have been so lucky to have found people who share their knowledge of Hawaii with me. I have learned so much about the history, culture and language of the Hawaiian people. I currently teach mathematics at ‘Iolani School on Oahu, and I want to inspire my students as much as I am inspired by the Hawaiian culture.